KDHamptons Feast End: Three Sensational Seasonal Recipes! 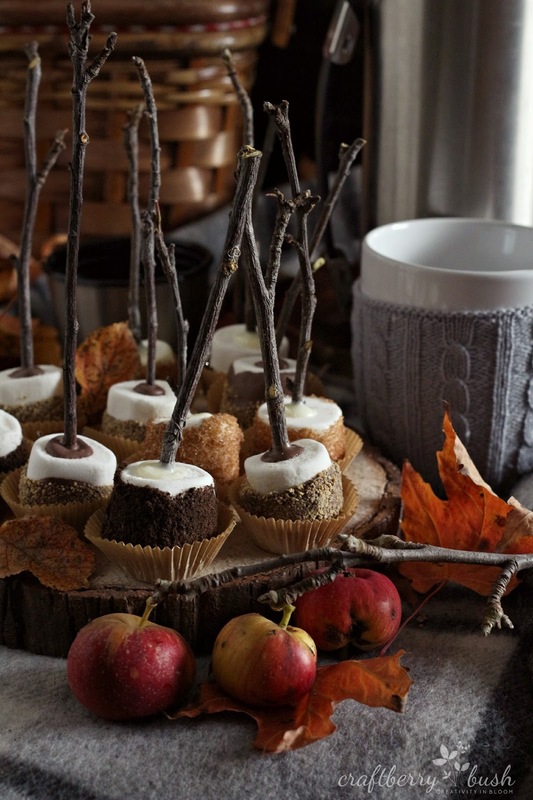 Here’s a few of my favorite new festive recipes for the fall season…. Wooden skewers, lollipop sticks, paper straws or sticks. Instructions: Grease a piece of baking paper and place on a tray/baking sheet. 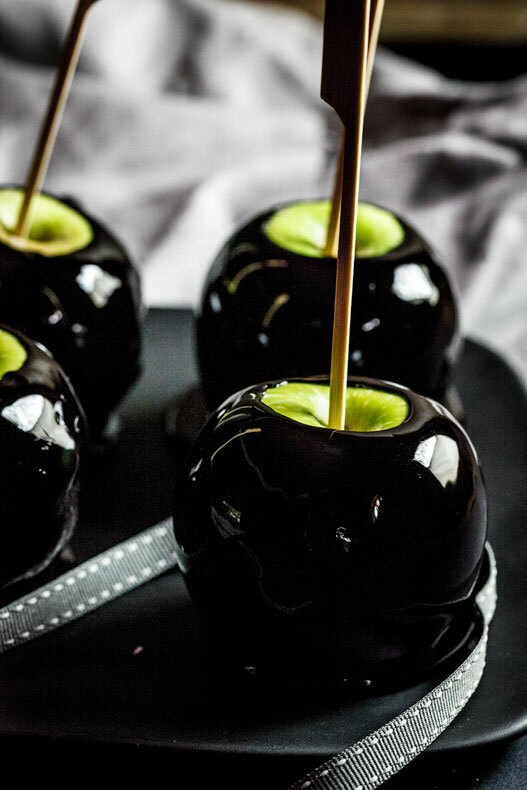 Insert bamboo skewers in all the apples and set aside. In a medium pot, combine the sugar, water, glucose/corn syrup and food colouring and stir over medium heat until the sugar has dissolved and the mixture feels smooth when you rub it between your fingers. When the sugar has dissolved, turn the heat up and wash the sides of the pot down with a pastry brush dipped into clean water to prevent crystals from forming. Allow the caramel to boil until it reaches the hard crack stage (150°c/310°F). Ingredients: Since lavender is quite fragrant, adjust amount according to preference. For a creamier hot chocolate, a 1 to 1 ratio of dark to milk chocolate can be used. Makes 2 servings. For whipped cream, place cold cream, vanilla, and sugar into a cold mixing bowl. Beat the mixture with a whisk or mixer until stiff peaks form. keep refrigerated until ready for use. 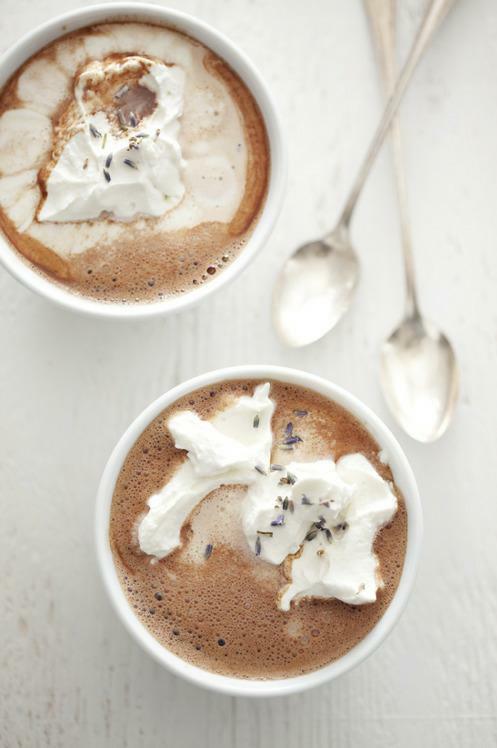 For hot chocolate, heat milk and lavender over medium heat, whisking occasionally until the milk begins to simmer. Remove from heat and let lavender steep for 5 minutes. Strain lavender and return milk to saucepan. Over medium heat, add chocolate and mix until chocolate is melted and incorporated. Whisk milk mixture for 10-20 seconds until frothy. Pour into mugs or bowls and serve with a dollop of whipped cream.